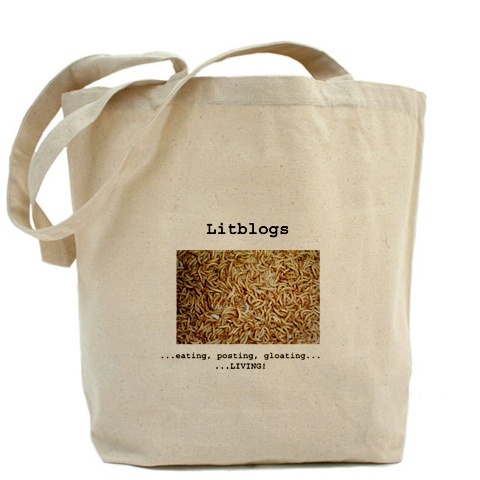 Just a reminder that you can get your official Save the Litblogs! Maggot Gear at this exclusive online shop. Impress your friends, impress your relatives, make your whole neighborhood jealous. We’ve got clothing, hats, buttons, steins, posters, coasters, stickers, and most importantly, WE HAVE TOTES! So get to shopping! All proceeds go to the Auto Parts Dealers Literary Guild. A few bucks might be spent on me. Sweet bag, dude. I’ve estabilshed a store of my own, thanks to you.